Austin Parker has announced the appointment of Chesapeake Yacht Center as its dealer for the Mid-Atlantic region of the United States. 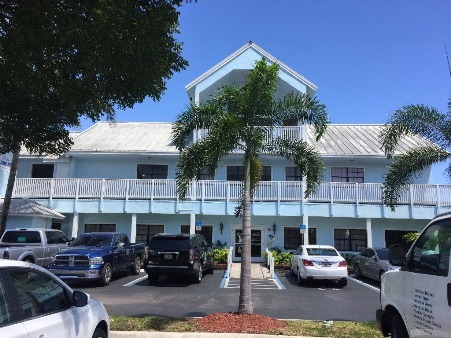 Chesapeake Yacht Center was established in 2012, and quickly ascended to one of the top dealer names in its region. Headquartered in Baltimore, MD Chesapeake Yacht Center is a white-glove concierge dealership that serves customers throughout the Mid-Atlantic region for all their yachting needs and has additional offices and service points in Hampton and Woodridge, VA and Hilton Head Island, SC. "We’re excited to be joining forces with Austin Parker", said Josh White, co-Principal at Chesapeake Yacht Center. "The Austin Parker product is revered throughout Europe, and we can’t wait for our customers to see and experience first-hand the exceptional quality, workmanship and on-water performance of these fine yachts". "Austin Parker is launching a number of exciting new models this year", added Ryan Dobb, co-Principal at Chesapeake Yacht Center. "The new AP48 Sundeck was just launched, while the AP44 Sedan will celebrate its US launch at FLIBS in November. 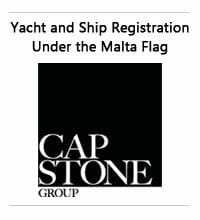 Styled by Fulvio De Simoni, both yachts are Category A vessels and carry features usually found on yachts of much larger size” Gianni Gravagno the Managing Director of Austin Parker USA , stated: "The appointment of Chesapeake Yacht Center is a key milestone in our newly-launched strategy to recruit and appoint quality dealers throughout North America. We’ve been preparing for the implementation of this strategy by designing and developing a whole new range of yachts, ranging from 35ft to 74ft. Operationally, we’ve established a base in Ft. Lauderdale staffed by experience industry professionals. Chesapeake Yacht Center enjoy an excellent reputation in the Mid-Atlantic and beyond. We’re genuinely excited about this partnership". 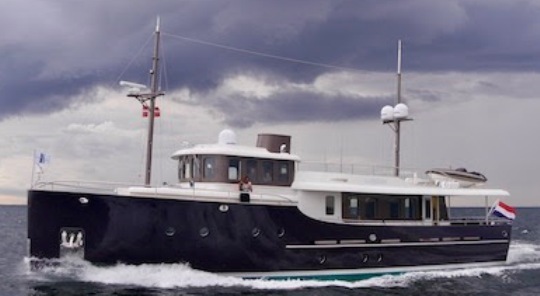 Austin Parker located in Pisa, Italy builds yachts in the style of the traditional lobster boats used by the fishermen of Maine in the tough conditions of the Atlantic Ocean. The yard’s range currently comprises nine models from 35ft-74ft. Azimut|Benetti Group has acquired the remaining share capital from V.Ships, a minority shareholder of Fraser for many years, thus leading the Group's stake in Fraser from 83% to 100% of the share capital.This acquisition is a key step in the Azimut|Benetti Group's development and expansion strategy. Fraser Group is the world’s largest provider of consulting services for yacht and superyacht ranging from Sales, Charter Retail, Charter Management, Yacht Management to Crew Placement. Fraser buys and sells over 50 super yachts a year, for a counter value of more than half a billion euro, and holds about 15% worldwide market share, which makes it the market leader. The Group manages directly 120 superyachts, some of them considerably large, with dozens of crew members. It operates around the world with direct offices in Munich, Fort Lauderdale, San Diego, Seattle, London, Palma, Bodrum, Doha, Dubai, Kuwait, Singapore and Sydney. In this context, Azimut|Benetti's operation will allow Fraser to continue the growth trend that has been going on for years and has led the company to a leading position in the industry. To this end, new offices have already been set up in New York and Hong Kong. Mr. Paolo Vitelli, Azimut|Benetti Group President, has commented: "This recent acquisition is part of the strategic plan of our Group – which has been leading the luxury yacht industry for 17 years – to offer the owners not only the most beautiful yachts, but also the utmost service. We are the only player in the yachting industry that takes care of the owner along the entire process, from yacht purchasing to management, refit and repair service, crew recruitment and chartering to resale.” With regards to Benetti, the Group’s brand specialising in mega and superyacht construction, the strategy will focus on the following: strengthening its leadership in South Europe; fostering the business of megayachts over 90 meters – the so called Gigayachts (3 are currently under construction, one has already been delivered) as well as the launch of the Oasis collection, a new lifestyle product complementing the more traditional shuttles. Technology is key: the new frontier are the innovative propulsion systems developed by Rolls Royce exclusively for Benetti. 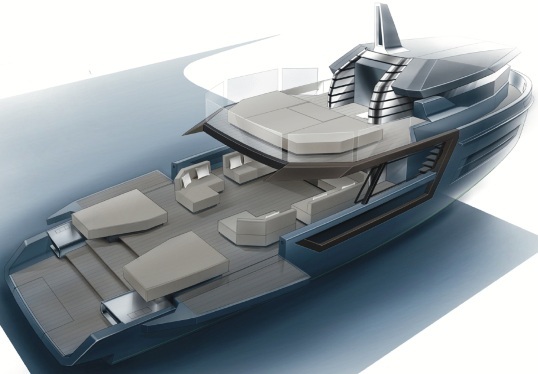 Azimut Yachts’ expansion plan, on the other hand, focuses on an intense launch program of new products from the five collections (Grande, Flybridge, S, Magellano e Atlantis), thanks to significant investments in research and development, the progressive use of carbon fiber and the involvement of the world’s most renowned interior designers. In this overall framework, Fraser will be another asset to offer owners all around the world the utmost service for yacht managing, chartering or reselling their yachts. Benetti is proud to announce that Roberto Corno has been appointed Worldwide Sales Director. Roberto Corno, 44 years old, graduated at the Politecnico Milano, began his career in Benetti early in 2005 as project manager, moving then up to more responsibility roles in the commercial area, such as South-East Europe sales area manager, until the current new role. Roberto Corno will report to Christos Ramnialis – Benetti General Manager – who commented “Roberto in his new role will coordinate our sales team and I’m sure will significantly contributes to the achievement of our ambitious goals for the coming year. He has a particularly wide range of expertise, gained over the 13 years he has been working at Benetti, where he had the chance to increase his knowledge regarding all the major aspect of the yacht building industry, from project management and shipbuilding to sales. Roberto will bring the necessary energy and enthusiasm necessary to expand Benetti’s sales and markets coverage especially towards new growing markets”. New round for the Benetti Yachtmaster 2018, the annual event organised to provide captains and crew members with a full and up-to-date overview of all the shipyard’s news about its latest products and commercial solutions, as well as to offer discussion panels and meetings about boat and crew management, legal and regulatory updates, workshops, and team building activities for all attendees. Palma de Mallorca, regarded as one of the industry’s main international hubs, provided the backdrop for the first event in the 2018 calendar, held from October 17 to 19. For more information and updates about upcoming Benetti Yachtmaster events, visit the social media channels dedicated to the initiative: Facebook, Instagram, YouTube and LinkedIn. Each event will be attended not only by captains but also by project managers, surveyors and owners’ representatives, many of whom have already worked with the shipyard. Besides opportunities to socialise and have fun, attendees will also be offered B2B meetings with Benetti Yachtmaster sponsors: Awlgrip, Boero, Sevenstar Yacht Transport, MTN, Jotun, Peninsula Petroleum, Viraver, Slam, ISS GMT. Christos Ramnialis, Benetti General Manager, said: “Benetti Yachtmaster is a fundamentally important initiative because it deals with one of the main issues in the world of motor yachts: the training of professional captains and crews who need up-to-date skills to ensure ever more qualified and efficient service and total safety on board”. As part of a strategy to take top-quality Dutch motor yachts to the American market, Moonen is opening a new corporate office in Florida. It will supplement its already excellent relations in the Americas and enhance the ability to offer a first-class service to Moonen owners and captains and the brokerage community. The Whitsunday Islands off north Queensland are a dream destination for motor yachting enthusiasts. A group of 74 tropical islands, large and small, white sandy beaches, secluded bays and anchorages add up to the ultimate motor yachting experience. For 12 Riviera and Belize owners and their families and friends, the annual R Marine Crawley Whitsundays Migration was a very special experience. 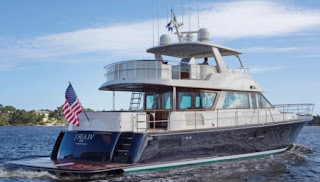 The fleet included the R Marine Crawley lead motor yacht, a Riviera 52 Enclosed Flybridge, Double Trouble. Eleven Riviera Flybridge motor yachts, from a classic Riviera 40, two 47's, a 48 to a pair of 52 Enclosed Flybridges, pair of 43 Open Flybridges, Two Sport Yachts and a 54 Belize Daybridge made up the impressive fleet. 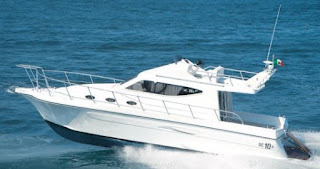 To ensure the best possible voyage, the team at Runaway Bay, Gold Coast, based Riviera and Belize dealership R Marine Crawley scheduled the adventure to take advantage of weather windows throughout the Migration, staying overnight at anchor or in marinas, from Kingfisher Resort on Fraser Island to Rosslyn Bay Marina and the Percy Islands. Voyaging north from the Gold Coast, the fleet met at Mooloolaba, a short day's voyage from the Gold Coast, for a welcome dinner. The following day the motor yachts crossed the Wide Bay bar for a passage through the Great Sandy Straits, inside the world’s largest sand island, Fraser Island, about 135 nautical miles to the north of the Gold Coast. “Ben Crawley briefed us about the Wide Bay Bar at the southern end of Fraser Island,” said Darren Cain who, with wife Tracey, joined the fleet aboard their new Riviera 4800, Fun Time. “It is notoriously challenging, but Ben gave us waypoints to navigate. He even organised for a Coast Guard boat to be on standby. “In the event, the crossing was nearly mirror smooth, but Ben’s attention to detail and our safety was reassuring.” “We live in Melbourne and all our boating experience has been in Port Phillip Bay and lakes,” he said. “This was our first time in open waters. 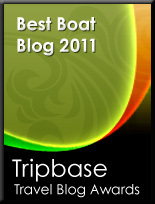 Any trepidation was quickly quelled by the experience of all the other motor yacht owners as well as Ben and his crew. "Our plan is to keep Fun Time in Queensland and commute from our home whenever we can make the time to escape." For Lance and Jacqueline Dummett aboard their new Riviera 5400 Sport Yacht, Hailstorm, the best day of the entire Migration was the stopover at Lady Musgrave Island, a sand island at the western end of a gleaming coral atoll 32 nautical miles off the coast and 67 nautical miles north of Fraser Island. “The water was glassy inside the atoll,” said Lance. “We snorkelled and watched the thousands of spectacular reef fish. There were even a few reef sharks. “Some of the owners fished and took their catch onto the beach to cook over a fire. That’s fresh fish!” Jacqueline used skills learned at a ladies' skipper course to berth Hailstorm in marinas as well as to help with mooring lines. A second long-distance family was Alex and Kathy Tonks and their young children aboard their Riviera 40, Mezzaluna. Alex explained the name comes from a restaurant in which they had their first date. "We live in Sydney and had planned to take our motor yacht to the Whitsundays at some stage. Because it is a long voyage for us we were reluctant to do it alone. We saw the notice about the Migration on the Events page of Riviera's web site and contacted R Marine Crawley. We could not have made a better decision. "The dinner on the beach at Lady Musgrave Island was a highlight for us. Craig, Bruce, Brett and Roger from the 47 Flybridge Pearl caught several fish, including a huge red emperor and cooked them Fijian lovo style on the beach. 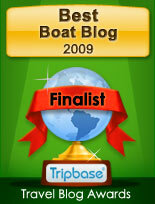 "We now have memories of a great group of people and have experienced boating paradise. Although we had not met any of them before, it was a fantastic group to share the journey with. This voyage has made us so happy to be part of the Riviera family." Ben Crawley altered the schedule to ensure the flotilla took advantage of weather windows throughout the voyage. “We arrived in the Whitsundays a little earlier than scheduled,” said Darren Cain. “So we spent a night in Cid Harbour on the western side of the large Whitsunday Island.” “Then we went out to Bait Reef on the inner edge of the Great Barrier Reef. Tracey and I had never been out onto the reef itself so it was an exciting time for us. “We loved the beach events and get-togethers that Ben and his team organised for us. It was a great chance to talk with other Riviera owners and learn from their experiences.” The Cains and the Dummetts took delivery of their new Sport Yachts on the Gold Coast just two weeks before the Migration and all are highly impressed with their new yachts. Tracey Cain appreciated the luxurious interior of Fun Time while Darren was impressed with the Volvo Penta IPS pod drives. “They are beautifully smooth and quiet,” he said. For Jacqueline and Lance Dummett, the single level lifestyle design is perfect. “Our previous Rivieras were flybridge models,” said Jacqueline. “We had six people on board at times and the single level of Hailstorm means we can all relax together in a very comfortable environment.” Lance Dummett said the visibility from the helm of the Sport Yacht is excellent. “She is a phenomenally good motor yacht,” he said. "We encountered some difficult seas on our way back to the Gold Coast and she handled them with ease, even at 25 knots which seems to be her sweet spot for economy and handling." Australia's world-class motor yacht builder, Riviera, has announced the dates for the 2018 Riviera and Belize Festival of Boating. The Festival will run over four days from Thursday, May 24 to Sunday, May 27 at Riviera's facility in Coomera, south-east Queensland. Riviera's focus on combining the rewards of the motor yachting lifestyle with learning opportunities will again be the theme of the Festival which will include a wide range of informative and hands-on educational workshops conducted by experts in their fields, designed to promote boating safety and to build confidence. The most popular workshops will return with refreshed content, including the Ladies Skipper Program, safe towing and anchoring, understanding the weather, offshore seamanship and understanding navigation. The popular guided tours of the Riviera facility will also return in 2018. Riviera’s owner and chairman Rodney Longhurst said: “The Festival of Boating was created for Riviera and Belize owners to help them realise their full boating potential. "We also welcome those who seek to join our Riviera family of owners and enjoy the best of motor yacht ownership. “Whether you are investigating the incredible lifestyle of luxury motor yacht ownership or you have been enjoying boating all your life, everyone will discover something new and valuable at the 2018 Riviera and Belize Festival of Boating.” In conjunction with its dealer network, Riviera has organised a range of exciting social events throughout the four days, culminating in the signature Saturday marina cocktail and gala evening. Sirena Marine’s successful path is still on pace and after the presentation of two new motor yachts models Sirena 64 and 56 under the Sirena Yachts brand, is proud to announce the expansion in the North America with a new headquarter office in the US and with a dedicated on-site professional team. Since its official debut at last Yachts Miami Beach Show last February, an additional remarkable achievement for Sirena Yachts that confirms its strong position in the American market is the recent sale of 2 units of Sirena 56 and 2 units of Sirena 64 in America. Sirena Yachts is also excited to announce that two units of Sirena 64 Sirena will be officially on display at the 58th Fort Lauderdale International Boat Show. Based on the solid and positive flow generated by the U.S debut of two of the current model range, Sirena Yachts is now ready to significantly make more steps ahead into the American market. In order to enhance the services to the extensive US market demand, the Turkish shipyard announces the opening of a new US headquarter with a on-site professional team in Fort Lauderdale, the capital of yachting in the United States and not only. One-hundred boats participated in the ninth annual Bluewater Babes Fish for a Cure female angler fishing tournament earlier this month, raising more than $100,000 for local breast and ovarian cancer patients. "It was fantastic - we broke all records this year," says tournament co-founder Jennifer McGrath. "This is much more than a fishing tournament. We had a combined 2,200 people at our Friday and Saturday night parties." The tournament is held out of Sailfish Marina Resort in Palm Beach Shores, Florida. This was the first year the event included a teen division, which fished 11 boats and raised just under $25,000. Viking Yacht Service Center Purchasing Manager Dawn Samuels (above, right) won Top Lady Angler in the Billfish category with three sailfish aboard the Viking 66 Enclosed Bridge Princess Lily. Congratulations to Dawn and all those who participated in this great cause! A beautiful Indian summer Saturday was the backdrop for Viking's Annual Employee Appreciation Day. Miles of smiles could be seen all day long with a picture-perfect day at the New Gretna, New Jersey, facility. The crowds feasted on delectable Jersey clams, fire-roasted pork, grilled burgers, hot dogs and of course satiated the sweet tooth with cupcakes and clouds of cotton candy. The DJ kept the party going and the kids found plenty to do outdoors with rock climbing, bounce houses, mechanical shark rides, pumpkin decorating, sand art and more. Plant and boat tours allowed everyone to learn more about their family member's work. Thanks to the staff volunteers who helped pitch in and thank you to every Viking employee for making the Viking Yacht Company the #1 boat builder in the world. Viking President and CEO Patrick Healey, along with Bob Hixson, owner of La Bandera Ranch and multiple Viking Yachts, hosted a pair of three-day hunts for Viking Yacht owners. La Bandera in Carrizo Springs, Texas, was the home to this amazing trip which included dove and deer hunting, sumptuous meals and cocktails, outstanding hospitality, entertainment and incredible company. Carmine Galati, Principal of Galati Yacht Sales, said "We've been coming to hunt at La Bandera for years. Last year Pat and Bob came up with the idea to invite our Viking customers to enjoy it with us as well, and it's been an epic experience." Fortuna Yachting customers are spending a lot of time in the Winner's Circle. The Mediterranean Offshore Sportfishing Tournament, held in late summer, saw a pair of Viking 55 Convertibles on the top of the leaderboard. Fishing the Aegean Coast, the Viking Bluefin landed a 256-pound bluefin tuna to claim the title of biggest catch. Albatros, the other Viking 55, took a 148-pound tuna to the scales good for 2nd Place. At the Tuna Masters Teos tournament in Turkey, the Viking 42 Sport TowerShamu took Overall 1st Place with a 321-pound bluefin. Tornado, a Viking 42 Open, took 2nd Place with a 282-pound fish. 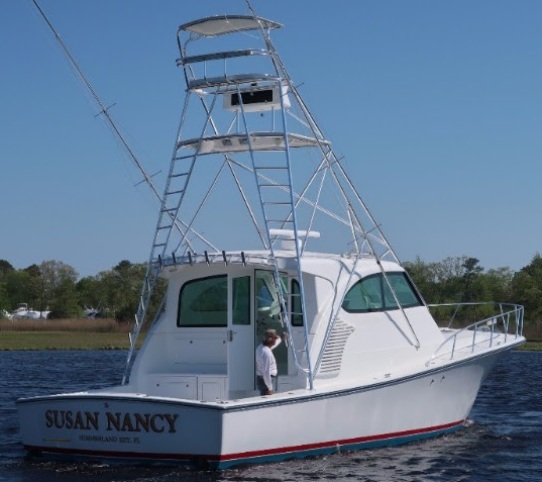 Congratulations to Chris Berry and his team fishing on his Viking 62 Safe Passage III. The crew was awarded 2nd Place at the Montego Bay Yacht Club International Marlin Tournament. Anglers Patrick Sleem and Mark Berry each released a marlin to add more hardware to the trophy case. This year, during the Voiles de Saint-Tropez, the stunning Z55 in Rhodium Silver made her appearance among some of the world's finest sail yachts, including many classic yachts with racing pedigree. The Voiles de Saint-Tropez is a series of regattas in the bay of St. Tropez at the end of the cruising season in the South of France. It is with great sadness that we learn of the passing of Architect Paola Galeazzi, co-founder of the world-renowned yacht design studio Zuccon International Project. Paola had met her future husband and business partner Gianni Zuccon in 1972 while studying architecture at La Sapienza University in Rome. In 1976, the young couple took part to a call for proposals organised by Cantieri Posillipo with an 18-metre fibreglass yacht project. Paola and Gianni won the design competition and unveiled the Posillipo Technema 65 at the 1978 Genoa boat show. This would be the first model of the famous Technema range, which the Zuccons designed and developed for more than twenty years. 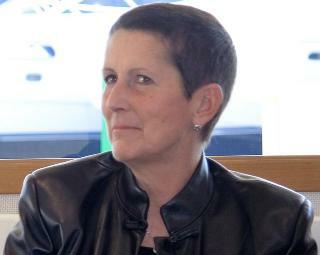 Paola Galeazzi, who had been at the helm of Zuccon International Project since its inception as administrator, was also a pioneer in 3D modelling for yacht design. In forty years of collaboration, the genial couple designed several award-winning yachts for some of the most iconic shipyards, such as Ferretti, Ferretti Custom Line, Bertram, Mochi, Apreamare, Baglietto, and Posillipo. Paola is survived by her husband Gianni, and her children Martina and Bernardo Zuccon, both talented architects who will keep the legacy of her work alive. Europe is finally getting out of the recession and a few builders are returning back to producing boats. 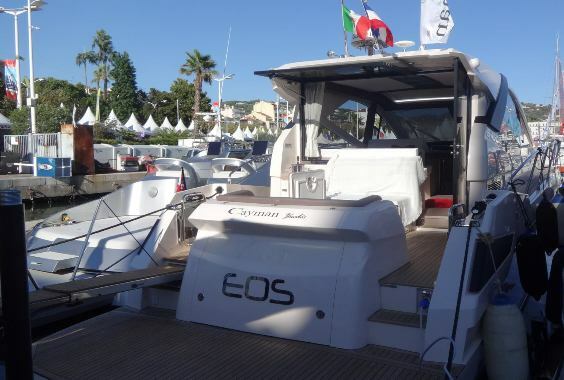 Cayman Yachts one of the Italian successes in the first decade of the second millennium is one of these, and presents itself with the totally new S450 presented at the Cannes 2017 boat show. 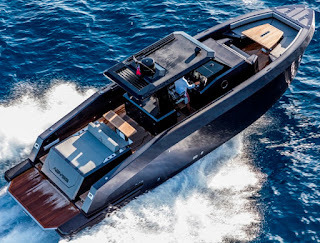 A project of Paulo Prosperi, son of Cayman Yachts founder Luigi, the S450 comes out as a practical fully enclosed all year round use hard top sports cruisers with modern solutions. A favorite here is the swiveling window of the cockpit which unites the aft and the main deck into one area. To be fair this is nothing new, since introduced by Ferretti in around the mid eighties, but after all this time still works out a charm in hiding all the doors and uniting interior to exterior areas when on anchor or at the dock. Down below the Cayman S450 offers two large en-suited cabins; full beam owners at midships and guest to forward, with an L-shaped sofa and galley in between. Power for the Cayman S450 is twin Volvo 370hp as fitted to hull one, and or an optional for larger 435hp engines. Baglietto launches the new 48m Displacement super yacht, named M/Y Andiamo. Launched at the historical La Spezia based shipyard in Italy, the first hull 48m Displacement left the yard on the last week of July for the first cruise with her happy owner. 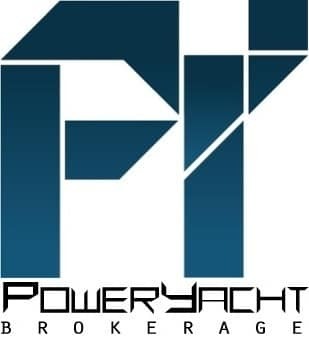 This high quality triple deck super yacht is signed by Francesco Paszkowski and features amazing volumes especially in the outdoor areas, in particular on the sun deck where a huge custom made pool is located. Interiors offer a custom designed six cabins layout especially required by the owner. This Baglietto 48m Displacement is the third delivery for Baglietto in the busy first six months of 2017, and follows the launches of the 46m and MV19. 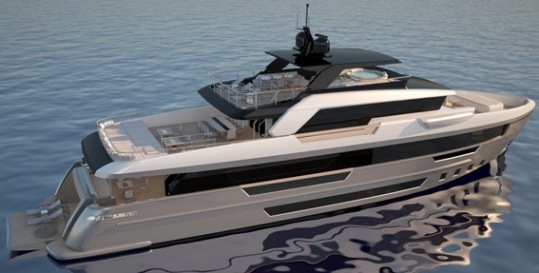 Baglietto has also just announced the selling of a brand new 54m project for an American owner. A second 48m Displacement is currently under construction at the Baglietto facility to be delivered in 2018, with a 43m Fast and a 55m Long-Range vessel available in 2019. For 2017 Filippetti has presented a new Explorer line of super yachts which will features three projects of 32, 36 and 40 meters. So far Filippetti is showing only project details of the entry level Explorer 32m designed by Venetian Yacht Studio. The Filippetti Explorer 32m features a triple deck design and is to be build of a steel hull and alloy super structure. Her interior volumes will offer a five guest cabins layout with the owners stateroom on the main deck. The Filippetti Explorer 32m will also feature latest amenities as a splash pool on the top deck, and an opening bathing stern bathing platform which transforms it to a beach area. Power for the Filippetti Explorer 32m is from twin 671hp Cat engines which deliver max speeds up to 14 knots and a cruise of nine knots. This last giving a range of up to five thousand nautical miles. Yanmar introduces the new 4LV series engine, here shown in its 195hp version. The 4LV will be offered in a range of five engines with outputs from 150 to 250hp which harness the very latest in electronically managed CR fuel injection technology for the mid-section of Yanmar’s range of clean and efficient diesels. Yanmar has released three of the anticipated 4LV versions, introducing the 150, 170, and 195hp units in Cannes. The engines have been specifically designed for the rigors of both sailing yachts over 60 ft, power recreational boating such as super yacht tenders and small commercial craft applications. 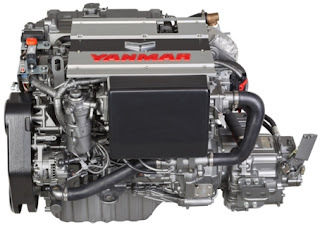 Demonstrating the Yanmar best-in-class features reflected throughout its new generation of marine diesel engines, the new 4LV range is clean, inter connective, quiet, powerful and fuel efficient. By exceeding the strict EPA Tier 3 and EU RCD Tier 2 emission regulations, the engines feature virtually smoke and odor free operation. For direct connectivity, the 4LV range has been developed alongside Yanmar’s industry leading electronic control and monitoring systems and connects seamlessly with NMEA or J1939 networking. This ensures support of advancing marine technologies and allows future-proofed integration to any multi-function bridge display. The engines incorporate the latest technology to enable very low vibration and noise levels for a smooth and quiet running engine. These include a chain rather than belt drive, a counterbalance shaft and refined component design. Featuring a class-leading power-to-weight ratio, the 4LV delivers a powerful low-end torque performance due to the 2.8 L displacement. This results in a stunning acceleration and set these engines apart from others in their power range. The digital control systems constantly monitor the engine to maximize performance and minimize fuel consumption, ensuring these are among the most fuel-efficient engines on the market. Furthermore, the range will be complemented by a choice of Yanmar controls, which include the VC10 electronic control panel, bringing real time diagnostics, and the JC20 joystick system, providing innovative maneuvering solutions. An evolution of the species, the new Azimut 60 Flybridge is the direct heir to the 2000-2009 produced 55 which brought so much success to the Italian builder with five hundred units delivered in a production run lasting about nine years. Unlike previous evolution's of the 55 that followed, the 58 and 60, which this model now replaces thanks to more length and beam adds more into its interior spaces. 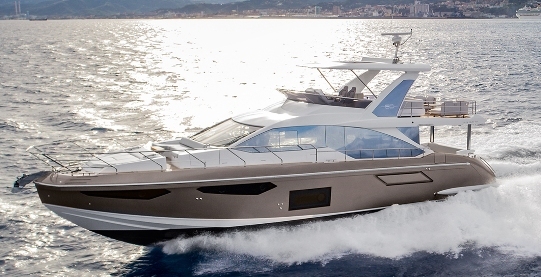 For example in the new Azimut 60 Flybridge the lower deck offers three guest cabins and three heads; two of which en-suite for the owners stateroom and VIP cabin forward. The third is a guest day head located by the stair case en-route to the cabins. For the new 60 Flybridge exterior designer Righini who is with Azimut since the early nineties continues the pattern of third generation evolution which started its process with the 50 in 2014 and in this model sees the addition of the aggressive Alfa-style bow as introduced in the 55S in 2012. Power for the new Azimut 60 will come from Man 800hp or Volvo 900hp engines with a line shaft propulsion giving max speed up to 31 knots. Arcadia energized by the number of seven yachts ordered in 2016, has seen their stylistic and value choices confirmed by the market more so then ever. This is why Sherpa is to become a separate range, taking the concept of explorer yacht to new levels, with Arcadia claiming it is the only truly multi-functional yacht competitive in today’s market to a level never reached before. A true statement. Within the next 18 months Arcadia should launch the second Sherpa chapter by presenting the second 72 model of the line. The Arcadia 72 Sherpa will have two different outdoor living areas on the main and upper decks, both larger than the average size in this market segment. The convertible sky-lounge assures, in complete respect of the Arcadia vision, continuous visual contact with the sea and surrounding nature. As the smaller Sherpa the 72 will be powered by twin Volvo engines with IPS pod propulsion, allowing for excellent maneuverability. These power plants allow for more space in the lower deck area, reducing noise, while the solar panels guarantee sufficient electrical energy for most of the on-board equipment and systems. Making its official World debut at the 2017 Fort Lauderdale show, Sea Ray’s new Fly 520 leverages the power of light through design choices that maximize views and minimize obstruction. Evolutionary styling and contemporary materials feel bright and airy, while wide-open, blended-purpose spaces with ample windows invite the outside in. Notably, the glass-enclosed bridge staircase and open risers allow light to flow through the steps even as this staircase ties the bridge cohesively into the rest of the yacht. Superior attention to detail and craftsmanship can be found in everything from the precision-engineered hull, manufactured at Sea Ray’s Palm Coast facility, to the engines and mechanical compartments, which are easier than ever to access and service. Additionally, the detailing of the interior features new wood selections, expertly crafted and grain matched throughout to elevate the yacht’s overall appeal. 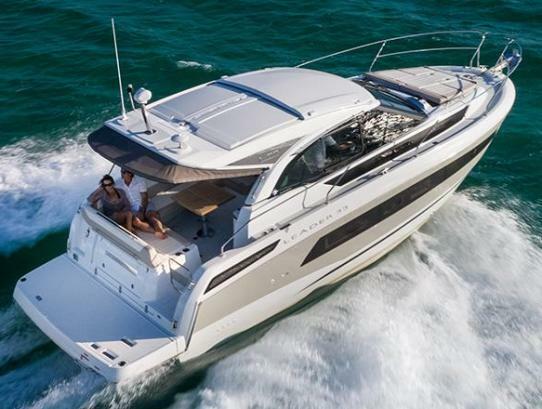 The entirety of the yacht is geared toward effortless entertaining and luxurious livability, with a well-equipped flybridge; a large hydraulic swim platform with steps descending into the water; three inviting staterooms; and all the comforts one has come to expect of a Sea Ray. In the cockpit, Sea Ray has devised an ingenious seating solution that allows for maximum versatility: the aft lounge seat with convertible backrest travels forward and aft to create multiple seating configurations, facing into the cockpit from the aft position or brought forward to overlook the swim platform. An optional Gourmet Center adds a grill and large storage drawer in the transom, further enhancing sociability. The Sea Ray 520 Fly will feature Zeus pod propulsion offering superior performance, stability and handling, as well as the joystick control. Jarrett Bay has completed its largest build to date will the launching of hull number 62, a 90 feet fully custom build to order Sportfisherman. Hull number 62 titled M/Y Jaruco and code named Project Ireland during build features a five double cabins interior, with a crew cabin for two persons. Jarrett Bay Hull 62 is powered by twin MTU 2600hp with a line shaft propulsion. As all Jarrett Bay's the new 90 feet flagship is a cold molded construction with carbon and titanium reinforcements. No speed numbers are yet given but the new Jarrett Bay 90 Sportfisherman will make an official debut in early November at the 2017 Fort Lauderdale boat show. Hartman a Dutch company which has roots into shipbuilding and maritime transport from 1775 and is today based on the island of Urk has decided to enter into the yachting sector, presenting itself with a host of projects and a two range offer. The 24 Livingstone is the first of the projects presented and comes from a design of Niels van Oostenbrugge and Albert Abma of Sheerline. The looks of the series is inspired to luxury liners of the early twentieth century, while the name is a tribute to Dr. David Livingstone famous for his travels around Africa and work against slave trade. Dr. Livingstone also sailed the first steel boat ever build in 1858. The Hartman 24 Livingstone is to be build of steel. Standard power for Livingstone 24 will come from twin Man 345hp with hull one being powered by a single Man unit of the same power which delivers a cruise speed of eleven knots. 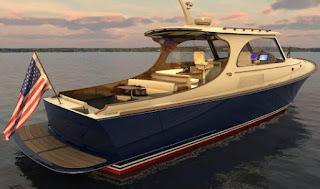 Having renewed itself with the launch of the 60, Grand Banks continues its bold foray into the future of long-range cruising with the project of the 52, the second addition to the new Grand Banks family series. This beautifully designed luxury yacht comes in both flybridge and enclosed skylounge configurations, with two lower-level layout options for a three or two cabins choice. 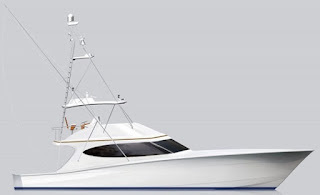 Scheduled for release in the fourth quarter of 2018, the 52 is a versatile design that is a culmination of what Grand Banks learned from designing and building the just launched GB60 and the rest of the range over decades of production. The GB52 is constructed using the latest methods of fully infused carbon fibre to achieve strength and reduced weight, and employing the benefits of modified epoxy vinylester resins that are the benchmark of durability, and impervious to osmosis and blistering. 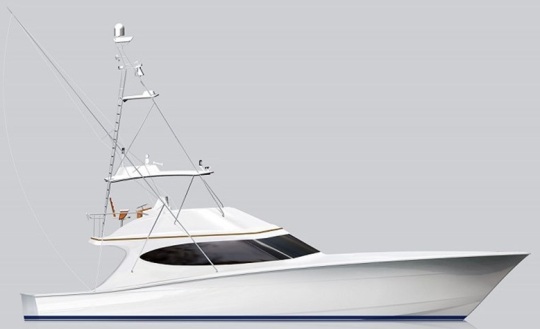 The Grand Banks 52 will be powered by twin Volvo 600hp with standard IPS pod, or line shaft propulsion choice for the traditionalists. Princess show details for a project of an all-new V65 representing with the upcoming V60 the exciting future of the Princess V Class range. The Princess V65 is designed for entertaining with a spacious cockpit inspiring relaxation thanks to an aft sunpad and well equipped dining area leading to the fully equipped aft galley. This flexible deck saloon model can be climate controlled or opened to the elements via triple sliding aft doors and a retractable sunroof. Below deck, eight guests enjoy four beautifully appointed cabins all bathed in natural light from elegant hull glazing, with the option of a further single cabin aft for occasional guests or crew. The Princess V65 will be powered by twin Man 1400hp with top speed estimates up to 38 knots. Hunt Ocean Series 72 flagship model maximizes comfort, space and efficiency while evoking the signature style and exceptional performance that defines the Hunt brand. Featuring the legendary performance of the authentic Hunt Vee hull shape, the ride is smooth, level and dry whether seas are calm or rough. Exceptional passage making ability delivers an easy 27 knot cruising speed. The luxurious layout features three spacious ensuite staterooms, expansive saloon, gourmet galley and an extended flybridge with dinghy storage and lift. As with any Hunt, the 72 offers many opportunities for customization from propulsion to arrangement plan to interior design and outfitting. In a journey which started in 2010 with the MCY 76 Beneteau Group's Monte Carlo Yachts high end line up adds another chapter in its expanding story, the number seven and second largest to be exact and present the new MCY 96. Launched as per tradition by the French-Italian boat builder in mid summer, the MCY 96 takes it to compete in the 28 to 29 meter over all and less to 24 meter length size raised pilot house category. Designed as all the Monte Carlo Yachts line by Nuvolari Lenard the MCY 96 brings fresh thinking in its second largest model, this seen in the galley located below deck, in order to allow more space for the owners cabin on the forward part of the main deck. The lower deck of the MCY 96 is offered in three versions; four guest cabins, or three cabins this last with the option of a double second VIP suite or a twin cabin to starboard. Power for the MCY 96 comes from standard Man 1900hp or optional MTU 2200hp engines, with maximum speeds up to 27 knots possible. Casa shows its full custom attributes with the project of a new currently in construction 38 T-Top. Third version of the 38, the T-Top is the most modern looker of the Casa entry level model which is also available in Open and HT versions. A project of Pier Luigi Mimmocchi the 38 T-Top offers lower deck accommodation for two cabins and two heads, or a two cabins single head layout choice. The single head version offers a more spacious galley and saloon. 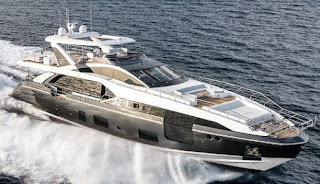 The standard exterior deck of the Casa 38 T-Top offers the traditional Mediterranean layout for an aft sun-pad, C-shaped dinette, with helm station and wet-bar to starboard. As is standard at Casa, other custom layouts are available for the exterior. Power for the Casa 38 T-Top comes from twin Volvo 300hp with stern drive propulsion which give max speeds up to 38 knots. The T-Top, hull number three of the Casa 38 entry level sport cruiser is currently in construction at Gaeta, Italy with a planned delivery for Spring 2018. In the realm of boat builders Dellapasqua is that rare name who always takes the route of a conservative design evolution in the process of renewal of its models. The new DC10 SL from Dellapasqua follows this theme to the letter and this new SL flybridge replaces the S model before it. The difference is a soft one with the new SL having glued side profile windows and a design reminiscent of nineties Italian flybridge cruisers. But do not be mistaken as the DC10 SL for its simplicity in a length of just eleven meters has a lot going for it, in an honest package offering two or three cabins choice layouts below deck. But choice does not stop here, and DC10 SL can also feature one or two shower heads, and a larger galley option with this moving the helm station to port side. 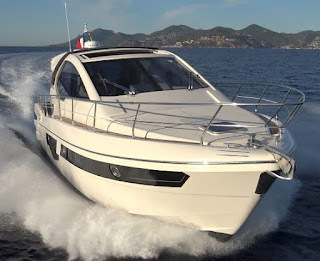 Power options for the Dellapasqua is a client discretion based with a maximum possibility of twin 370hp diesel engines. The Dellapasqua DC10 SL is an interesting flybridge cruiser for those who want a no frill simple design with a traditional deep Vee hull shape, with its only let down being the not so large 750 liters fuel capacity.